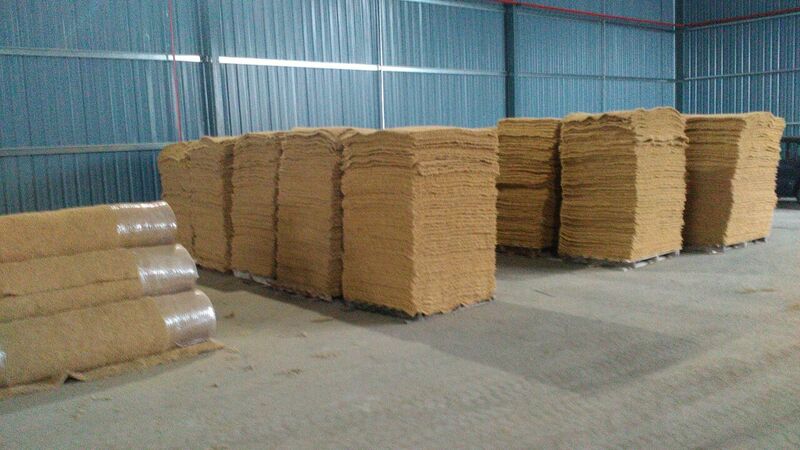 Palm fiber mats, are cheaper than coconut mats, and superior because of it’s origin with many nutrietients from the palm oil. 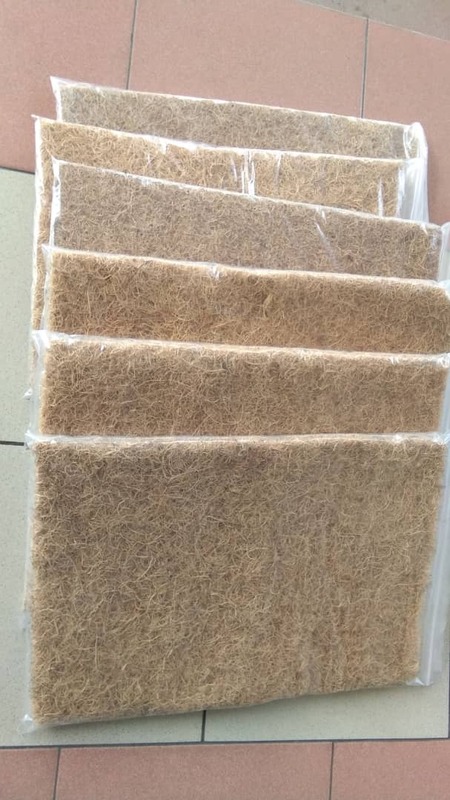 Use Palm oil mats for isolation of houses or erosion control in constructions. Depended on the amount of fiber used in making the mat. For example, if we use more fiber and sew it together, the strength definitely higher. But generally coconut fiber strength is better than palm fiber. Our thickness is 1.6cm to 2cm. It’s suitable as growing bed for most of the plant cause it retain water. 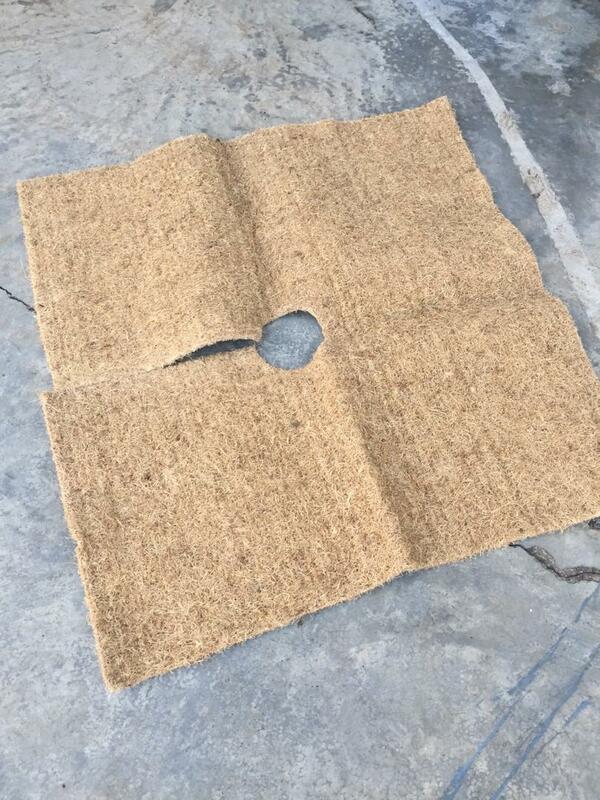 Where the coconut fiber mat only a very thin layer.